My phone buzzes with a text message. I leave it to its own devices while I try to concentrate on the task at hand. It buzzes again after a few minutes and again shortly after. When I finally pick it up, they’re all from one of my best friends. The first one is a question, the second a question mark, and the last one is a hug emoji. All sent a few minutes apart as if she was waiting for a reply, or expected a reply in the meantime. We live in an era where we’ve become slaves to our phones, email, and social media. Emails are expected to get a reply within a day (or better yet, within the hour), and text messages are to be treated as a phone conversation. If you don’t reply within ten minutes, your friends are afraid you’ve been kidnapped by aliens. And although I love staying in touch with my friends, catching up and hearing what they have been up to today, I also want to get something done in a day. Nowadays, interruptions happen on a daily basis whereas we used to use this expression as a joke- “oh well, life happens.” This has started to become a bit of a problem. Dreams that get pushed down the road because “life happens,” work that didn’t get done because you were too busy answering phone calls and emails while tubes of paints are sitting collecting dust because you never get around to painting like you always said you would. Start small; put your phone on silent and in a drawer, or even better: in the other room. Close your email program, or turn off your wifi if you don’t need it for research or something similar. Start small, in blocks of half an hour, and work your way up to a level that feels comfortable to you. If you need help not checking your email, plugins such as Strict Workflow and Stay Focused are absolute lifesavers. This is where it starts to get somewhat tricky. Look at things you do you in a day, a week or even a month and find out which of these things are really important. Are you going to meetings that, frankly, feel rather pointless and don’t add any value? 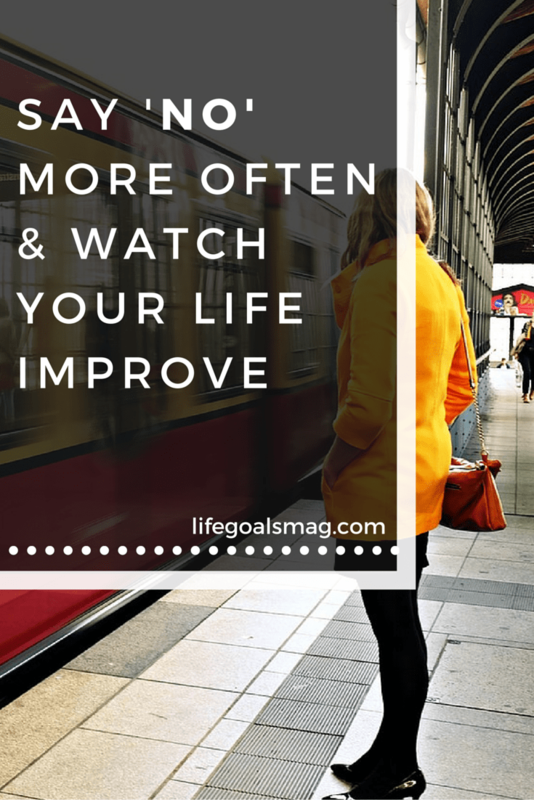 Start saying no more to those and use your time more productively. (I don’t mean socialise on Facebook!) Do something that really adds up in the long run, so that if your boss comes asking why you’re not going to the meeting (although, when you work for a boss that can be tricky too), you can show him all the work you’ve been doing in the meantime. Or if you’re a freelancer, you can show your clients that you’re better off using the time they’ve hired you to do something that moves their project forward. It’s so easy to come home after a long day, let yourself fall on the sofa and turn on the television. There are so many good series and movies at the moment. It’s hard to choose which one you want to see first. Before you know it, you’ll spend countless hours in front of the television and all that time you could have really been doing something else. On average, we spend more than an entire workday in hours in front of the television per week and yet we still complain that we don’t have enough time to do all the things we want to do. Maybe it’s time to start saying no to all the mindless hours of television, and only watch the shows we really want to see. Sometimes, we just want to stay at home and read a book. But in this social age, we are not only connecting through our phones and social media accounts, we are out and about a lot too. And even though it’s fun to catch up with everyone on a regular basis, saying “no” to going out is not as rude as you might think. Going out to meet friends all the time might make you feel scattered and unable to catch your breath. You can feel like you’re never in the moment, and always thinking about the next appointment or thing on your to-do list. Saying no every so often to recharge, read a book, or just take a long bath will help you be more present and in the moment when you do meet up. You will be an overall nicer, happier person to be around when you allow yourself to have a balance. Last but not least, be very clear on the things you want to do. What are the things you definitely want to say yes to? Makes this an intentional choice, as there are only so many things you can say yes to. Because if you say “yes” to something, it means you automatically say “no” to other things. So make sure that you say yes to the things that are really important to you, so you can say no to everything else that isn’t.